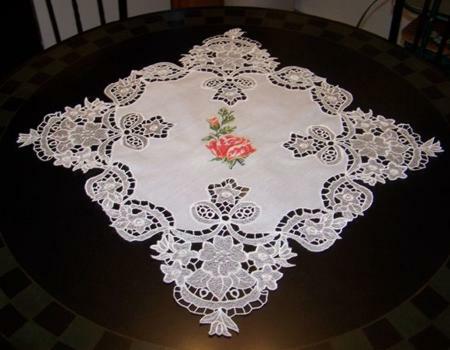 This participant entered the contest with a lace table topper. designs. 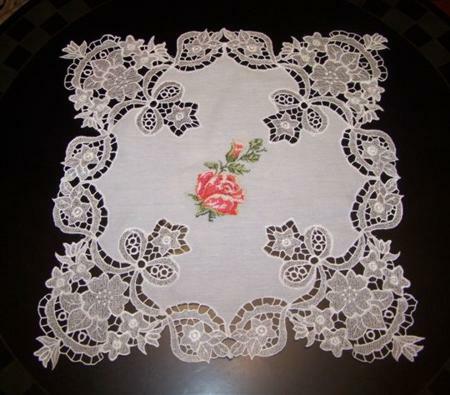 I sewed the lace to the project by hand. My favorite designs are your Free-standing Lace patterns. 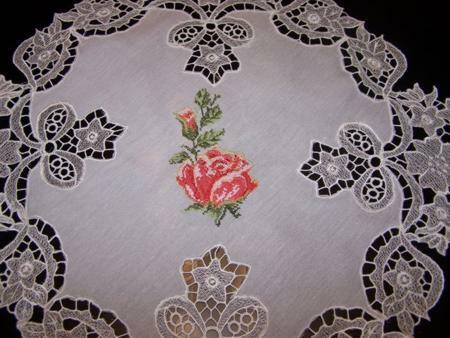 This lace pattern is my most labor intensive and is also my favorite. It is stunning and beautiful. The flower pattern is one of your free monthly designs that I really liked." The designs used are from the FSL Flowers and Bows Corner Set.